River Queen Greens is a 1/2 acre market garden growing vegetables in and for the Bywater neighborhood of New Orleans. 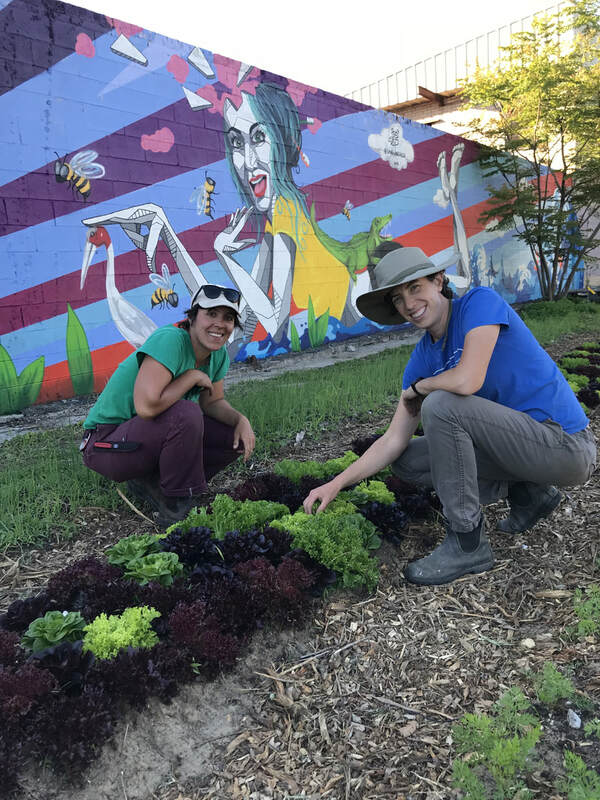 Founded in 2017 by Cheryl Nunes and Annie Moore, River Queen Greens is the result of a heartfelt and long-simmering decision to leave Massachusetts - our home of 6 years - and return to our old neighborhood in New Orleans to grow vegetables. Before coming back to New Orleans, Cheryl was managing a small vegetable farm outside of Boston and Annie was managing social enterprises throughout the region. Cheryl and a couple of beautiful lettuce heads! 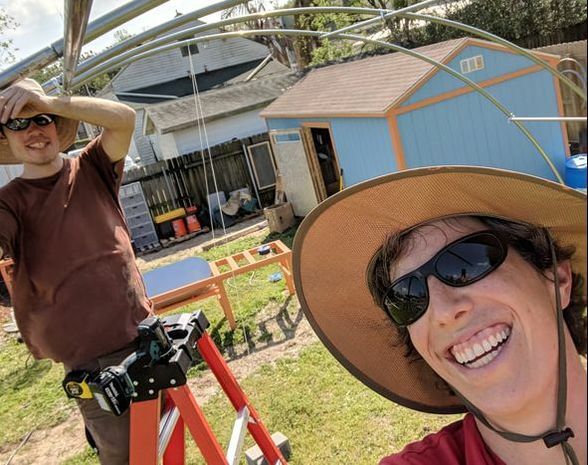 Annie and our friend Jeffrey building the hoop house.